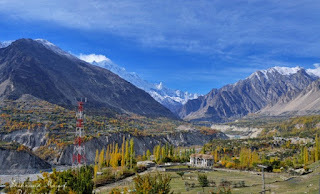 The story of Hunza is thought to have begun with Alexander III or Alexander the Great (July 356 BC to June 10, 323 BC), son of King Philip of Macedon (Ancient Macedonia west of Greece). Alexander was a brilliant warrior, more capable than his father. After his father's murder, Alexander set out toward the east to conquer neighboring kingdoms. He conquered Greece in short fashion and continued toward Persia where he eventually burned the capital and the national library in a great defeat of the Persians. Three generals in Alexander's army are said to have married Persian women. The generals betrayed Alexander by giving the Persians his plans. When Alexander heard of the betrayal he sought to take revenge, but the generals, wives, and a band of many soldiers fled. 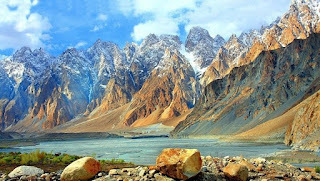 The valley of Hunza is thought to have been their valley of refuge because of its remote and secure location. "The Mir, or ruler, of Hunza believed his tiny kingdom to be the equal of China, and likened himself to Alexander the Great from whom he claimed descent. When the British turned up in the 1870s, he took them for petitioners seeking to make Queen Victoria his vassal. Not wishing to waste time arguing, the colonial officials had him deposed, replacing him with an amenable brother whom the Mir had carelessly neglected to murder on his way to the throne." Hunza Rajah and Tribesmen in 1981.The British reported a population of about 8,000 people who were in good health and lived long lives, although their ages could not be verified since the Hunza people had no written records. The people were relatively healthy, especially when compared to the citizens in England where obesity, diabetes, cancer, and heart disease ravaged the British due of their high carbohydrate diet of grains, bread, sugar, honey, fruit and potatoes. The Hunza people were slender, healthy, and athletic compared to relatives of the British solders at home in England who were fat and sickly. The Hunzakuts had lighter skin than the neighboring tribes and appeared to be of Caucasian origin. In 1950, John Clark reported seeing children with black, brown, and blond hair and an occasional redhead. 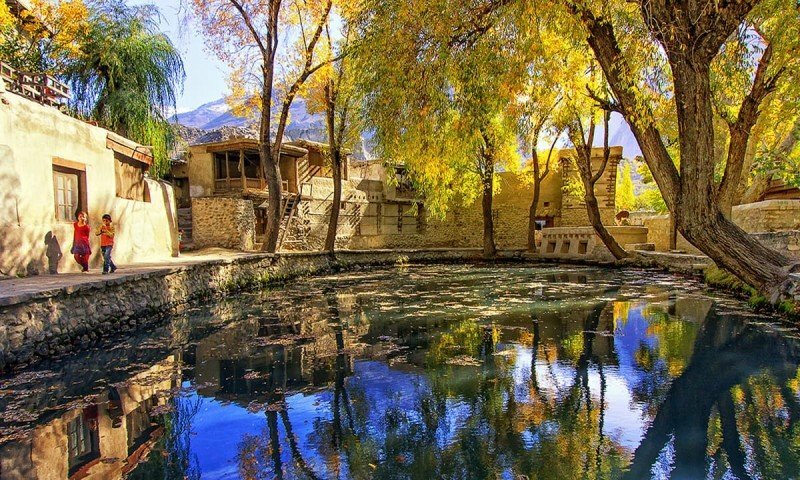 They probably chose the Hunza River Valley because of its sheer isolation, but the men took wives from neighboring peoples. Hunza women were said to have been beautiful. This is highly probable since the Persian women taken as captives were likely the best looking. See page 69 in John Clark's book. The Hunzakuts called this "the land of just enough." The truth is Hunza was always a land of never enough, and everything was in short supply including the usable land which was limited to five acres (20,000 sq. m) per family. Animals were limited because of the lack of grazing pastures in the lower valley. The goats, sheep, and Yaks were moved to the higher mountains in summer in search of the sparse vegetation. The herdsmen had an excess of milk while the people in the valley suffered a shortage. 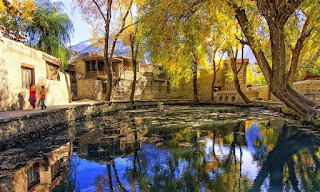 This is the reason summer visitors to Hunza see a people eating a low-fat, near-vegetarian diet. The winter diet was vastly different.